Tiangong-1 – a ten-meter long, pressurized space station module from China – re-entered Earth’s atmosphere on April 2, 2018 after suffering a fatal power failure in 2016 which sent it on a slow descent toward a fiery demise. The re-entry of Tiangong-1 was considered a ‘high-risk event’ by those tracking events such as this because fragments of the module survived and impacted the ground; however, the risk for any individual being hit was minuscule, well below the probability of getting hit by lightning – contrary what tabloid press were writing in the lead up to the spacecraft’s fiery plunge. This page provides an in-depth look at the Tiangong-1 spacecraft and its mission as well as the risks associated with its uncontrolled re-entry into the atmosphere. 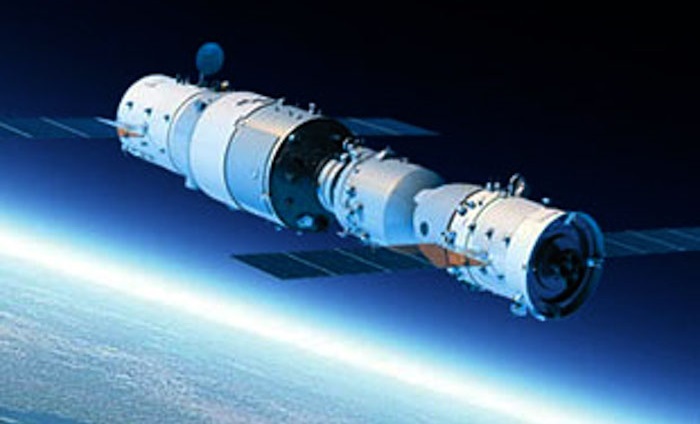 Tiangong-1 – Chinese for ‘Heavenly Palace’ – was launched by the Chinese in September 2011 as the country’s first space station module – serving as a stepping stone toward a large, permanently-staffed modular station in the future. The craft had a launch mass of 8,506 Kilograms and operated in an orbit of 370 Kilometers for most of its mission. TG-1 welcomed a total of three visiting spacecraft – Shenzhou-8 in 2011 demonstrated China’s first docking maneuver, Shenzhou-9 ferried a crew of three to the complex in 2012 for the first manual docking carried out by China, and Shenzhou-10, again with a crew of three, visited in 2013 for a two-week stay to learn about habitation in space. To collect as much information as possible, China wanted to keep Tiangong-1 in operation for as long as possible to prove the longevity of its station module technology. However, Tiangong-1 ceased regular orbital maintenance maneuvers in December 2015. 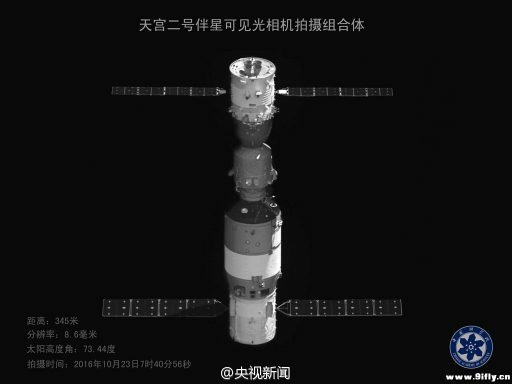 Information trickled in slowly and it only became clear that the station module was no-longer under active control in mid-2016 when China’s state-run news agency confirmed the craft had died of a power failure. 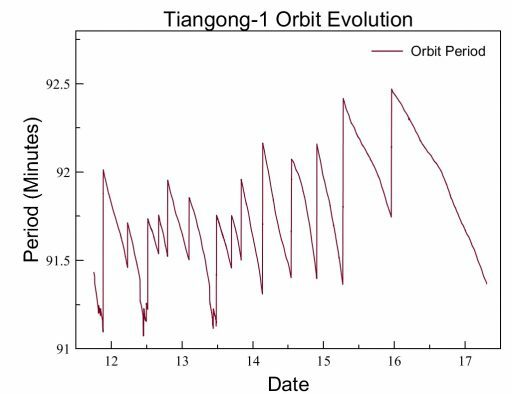 No longer-able to control its orbit, Tiangong-1 started a multi-year descent toward the atmosphere. Because Earth’s atmosphere is highly dynamic and responds to external influences like solar weather, an exact location or time for the craft’s fiery demise can not be predicted. The closer the event gets, the more refined predictions will become. Given its large size ad robust construction, Tiangong-1 will not burn up in its entirety upon re-entry. Conservative calculations indicate that one metric ton of the spacecraft could survive and reach the ground anywhere between 43 degrees north and 43 degrees south latitude. 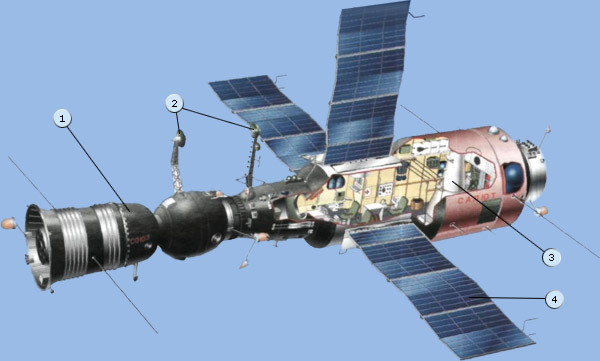 The first was Kosmos-557, originally intended to become Salyut-3 – Russia’s third Salyut space station. However, shortly after its successful launch atop a Proton booster in May 1973, the 19.4-metric ton module ran into a flight control system error that caused the craft’s orientation thrusters to fire until its tanks were empty. Stranded in a 218 x 266-Kilometer orbit, the station was facing a swift re-entry. To avoid embarrassment, the Soviets disguised the failure by calling the spacecraft Kosmos 557, re-entering 11 days after launch. Salyut-2, weighing in at 18,500 Kilograms, re-entered in an uncontrolled fashion less than one week after Kosmos 557, after 54 days in orbit. The vehicle initially saw a successful launch, but the third stage of its Proton rocket exploded three days after arriving in orbit and a piece of debris from the stage struck Salyut-2 on its 13th mission day, causing the station to depressurize and spin into a tumble which in turn caused the separation of the solar arrays. The biggest Space Station to re-enter the atmosphere in a mostly uncontrolled fashion was Skylab in July 1979 after over six years in orbit, serving as America’s first long-duration human outpost. After hosting three crews for a total of 171 days in 1973 and 74, Skylab was left in a 433 x 435-Kilometer parking orbit after a final boost during the third crewed mission to prolong Skylab’s orbital lifetime for potential future missions as plenty of supplies were still available aboard the complex. With its limited understanding of orbital decay dynamics, NASA predicted Skylab could stay in orbit for close to a decade – providing some overlap with the Space Shuttle for a potential servicing mission. As late as 1977/78, studies showed Skylab’s systems were still operational and the station was safe for human habitation, however, plans for a return visit never received the funds that would have been needed. Interestingly, the massive, fifty-metric-ton S-II second stage that placed Skylab into orbit re-entered in January 1975 – an event that received little to no press attention but was very closely watched by NASA as several heavy parts, including the stage’s five J-2 engines, were expected to survive re-entry. S-II re-entered harmlessly over the ocean, but the event was a wake up call for NASA that some measures would have to be taken when Skylab’s final days approached. With Skylab getting closer to entry, studies were performed indicating that around 25 metric tons of the station could reach the surface in some 500 pieces spread across a footprint of 1,500 Kilometers wide and 6,000 Kilometers long. Per today’s standards of calculation, Skylab was the most dangerous re-entry event to date with a 1 in 155 chance of debris hitting a person and one in ten odds of debris hitting a major city. To decrease the odds of Skylab entering over populated territory, NASA flight controllers tried to modify drag acting on the large complex by adjusting its orientation to somewhat aim for a large stretch of ocean, ideally starting the entry process south east of Cape Town, South Africa. 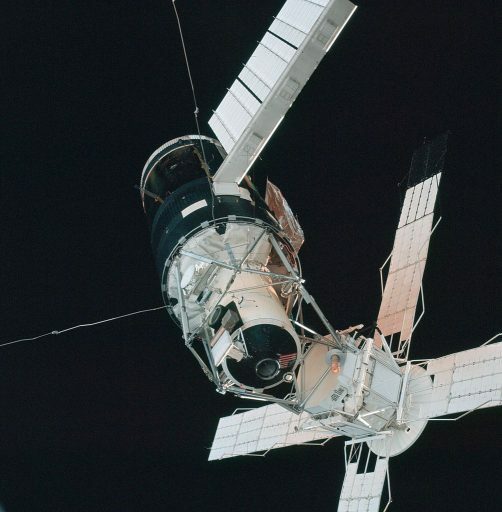 Re-Entry began at 16:37 UTC on July 11, 1979 and Skylab managed to remain mostly in one piece until 16 Kilometers in altitude – for a typical modern-day spacecraft, destruction would begin around 65 Kilometers in altitude. Debris from Skylab ended up in Western Australia but no one was injured as the result of Skylab’s re-entry. 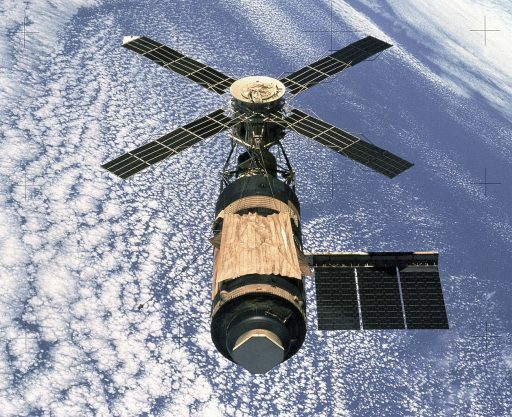 Skylab is the second heaviest piece of space hardware to re-enter the atmosphere, the heaviest being the Mir Space Station that made a controlled re-entry in March 2001 – to be surpassed when the International Space Station is purposefully brought down at the end of its usable life. Tiangong-1 blasted off on September 29, 2011 atop a Long March 2F rocket launched from the Jiuquan Satellite Launch Center in the Gobi Desert. It is China’s first space station module to reach orbit with the major mission objective of demonstrating the technology and operational aspects needed for a large, modular space station that China plans to deploy by the end of the decade. The Tiangong-1 spacecraft is 10.4 meters long and weighed 8,506 Kilograms at liftoff (with a reported dry mass of ~7.5 metric tons). It comprises a 2.8-meter diameter Service Module that hosts the propulsion and electrical systems and a 3.35-meter Orbital Module that facilitates life support equipment, crew support systems and research gear, offering 15 cubic meters of pressurized volume. 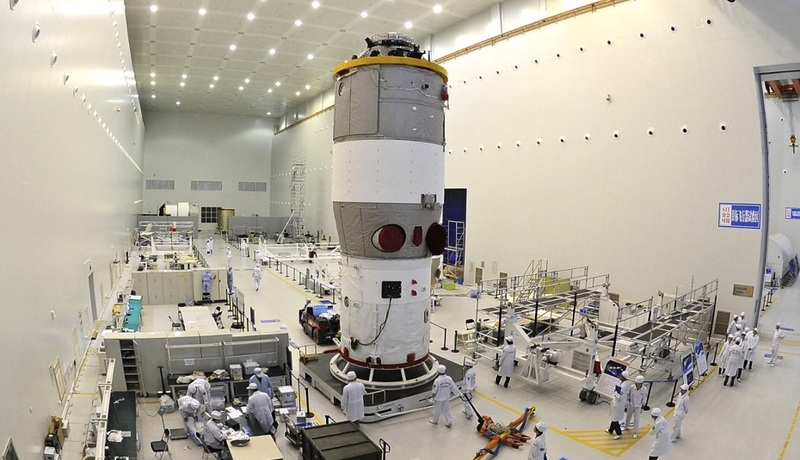 With its two power-generating solar arrays deployed, Tiangong-1 has a wingspan of 17 meters. The Service Module, around 3.5 meters long, hosts four large propellant tanks each capable of holding 230 liters of propellant – Monomethlyhydrazine fuel and Nitrogen Tetroxide oxidizer, fed to a pair of 490-Newton main engines, eight vernier jets and 16 attitude control thrusters. How much propellant remains in the spacecraft’s tanks is not known, but may be a factor in assessing the risk associated with its re-entry. A Transfer Section joins the Service Module and the larger-diameter Orbital Module, also facilitating gas and water tanks for the environmental control system. At the end of the five-meter long orbital module is a 1.4-meter diameter APAS docking system. 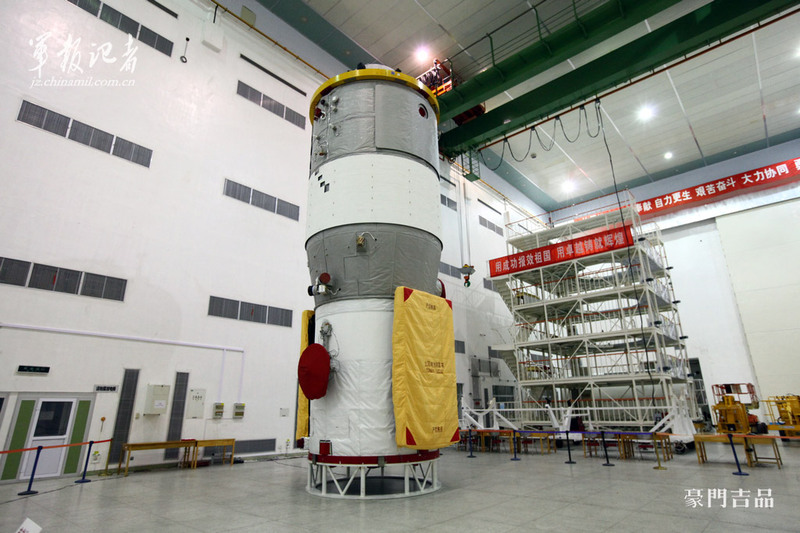 Tiangong-1 and its successor were the central elements in the second phase of a three-step process outlined in China’s Human Spaceflight Program. Officially initiated in 1992 under the code name Project 921-2, the program called for three major phases – to send a human into space, establish the tools needed for long-term habitation in space, and deploy a large modular space station. The first phase ended in 2003 when Yang Liwei became China’s first human in space, orbiting the Earth for 21 hours aboard the Shenzhou-5 spacecraft. For the second phase, China looked at a number of challenges to be overcome – specifically the development of spacecraft that can operate for extended periods, orbital docking technology, advanced life support systems, and an operational cargo architecture to service a long-term space station. Establishing operations in a 370-Kilometer orbit, inclined 42.8° to either side of the equator, Tiangong-1 was first visited by the uncrewed Shenzhou-8 mission. 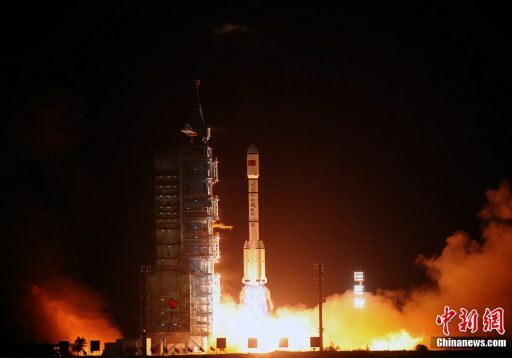 Shenzhou-8 launched on a CZ-2F on October 31, 2011 and linked up with Tiangong-1 for a fully automated docking two days after launch – marking China’s first docking in space. A more challenging second docking demonstrated China’s radio-and-laser-guided navigation system could cope with extreme lighting conditions before Shenzhou-8 returned to Earth after an 18-day flight. Shenzhou-9, carrying a crew of three including China’s first woman in space, launched on June 16, 2012 and docked with Tiangong-1 on the 18th. 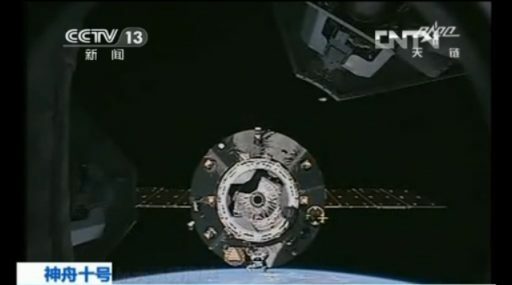 After six days, Shenzhou-9 undocked from Tiangong and retreated to 400 meters to allow the mission’s commander, Jing Haipeng, to fly China’s first manual docking maneuver. After another four days on Tiangong, the crew returned to Earth with a safe parachute-assisted landing. 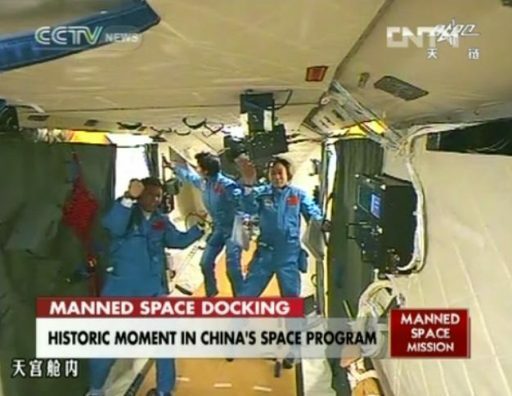 Tiangong’s second crew arrived on June 13, 2013 aboard Shenzhou-10 for a stay of 12 days to study in-space habitation for an intermediate-duration mission and perform a number of scientific experiments. Lessons learned from the two crew visits to TG-1 provided valuable lessons for the design of the successor craft as well as China’s modular space station. Tiangong-2 reached orbit five years after the first vehicle and hosted a crew of two for a month-long stay, setting a new record for China’s longest crewed flight. The craft also served as the target for China’s first Tianzhou cargo mission, a shakedown flight to demonstrate supplies and refueling propellant can be lifted to the Chinese Space Station – the final piece in the puzzle needed for operation of the large space station. 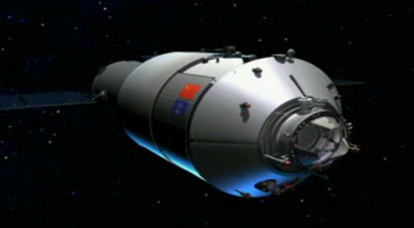 Having served its primary purpose in 2013 after three Shenzhou visits, Tiangong-1 was placed into a standby mode, however, China wanted to keep the module in orbit for as long as possible to study the longevity of its various systems – an important aspect when aiming for the operation of a large space station over many years or even a decade or two. Chinese officials had always been tight-lipped about the end of the Tiangong-1 mission, but the expectation was that the module would be allowed to slowly descend toward the atmosphere ahead of a targeted deorbit maneuver. Over the course of its primary mission between 2011 and 2013, Tiangong-1 showed regular orbital maintenance maneuvers to keep its orbit between 350 and 375 Kilometers in altitude, dropping into an orbit around 330 by 335 Kilometers for the three Shenzhou visits. Heading into standby mode after Shenzhou-10, Tiangong-1 conducted orbital maintenance roughly every two months, keeping its orbital period over 91.5 minutes and avoiding dipping below 350 Kilometers in altitude. The frequency of maneuvers decreased in 2014 but the magnitude of each orbit-raising burn increased. In April 2015, Tiangong-1 made a pair of maneuvers from a 335 x 348 km orbit to 385 x 400 km – the vehicle’s highest orbit until November 2015 when another orbit-raising campaign placed Tiangong-1 into a 390 x 408-Kilometer orbit. This was likely in an effort to save propellants by operating the craft in a higher orbit where drag is not as significant, however, the November 2015 maneuver would be Tiangong-1’s last. Observers began raising questions on Tiangong’s planned demise in early 2016 and China’s state-run Xinhua news agency responded saying Tiangong-1 had ended “data services” after a mission of 1,630 days. “The flight orbit of the space lab, which will descend gradually in the coming months, is under continued and close monitoring, according to the [Mannded Space Engineering Office], which said the orbiter will burn up in the atmosphere eventually,” the March 21, 2016 report said. 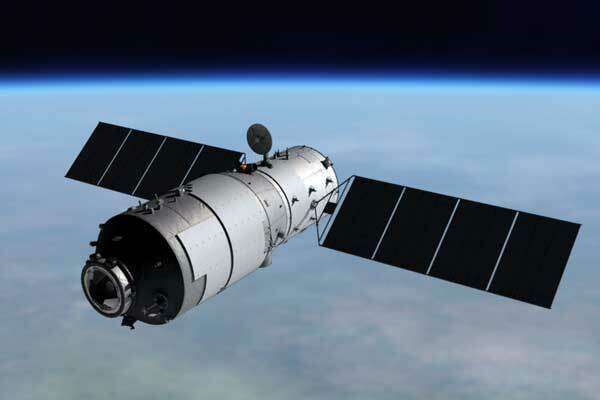 Some analysts took the vague statement to conclude Tiangong-1 had become uncontrollable and tabloid press quickly touted the usual headlines of an uncontrollable craft falling toward Earth. 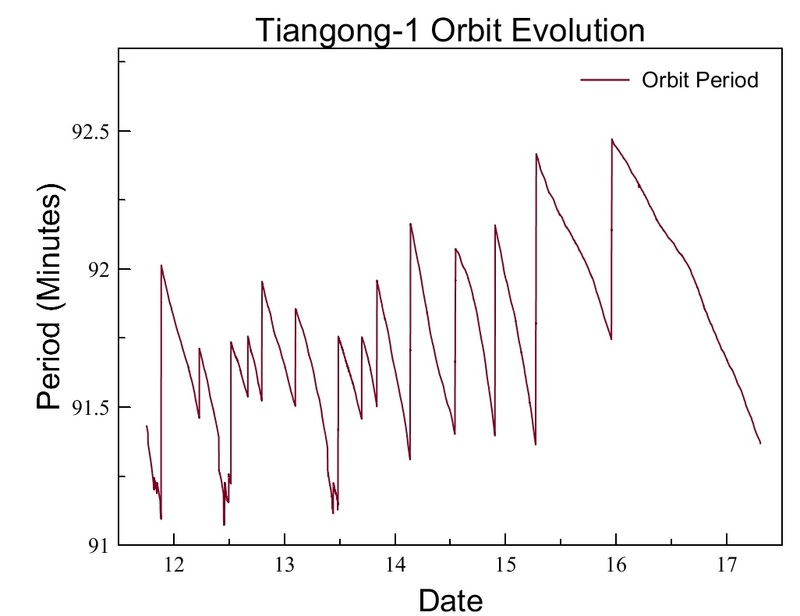 Amateur observers tracked Tiangong’s light curve and showed variations consistent with a slowly tumbling spacecraft, making the case for rumors of a power failure on Tiangong-1 stronger. 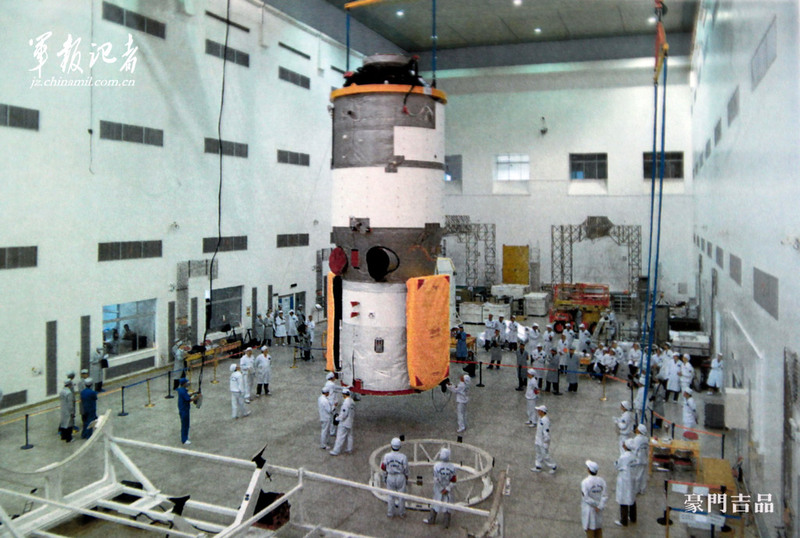 In July 2016, information was posted by the Sunway TaihuLight Supercomputer project that the facility was used to simulate the break-up of the Tiangong module during atmospheric entry – another indication that the craft was headed for an uncontrolled re-entry. Finally, in September 2016, Chinese officials confirmed that Tiangong-1 would make an uncontrolled re-entry after suffering an onboard failure in March. Officials said that most parts of the space lab would burn up in the atmosphere and that China’s space program would monitor Tiangong’s orbit to warn other operators of potential collisions and issue forecasts for the craft’s re-entry. At that point, Tiangong’s demise was forecast toward the end of 2017. 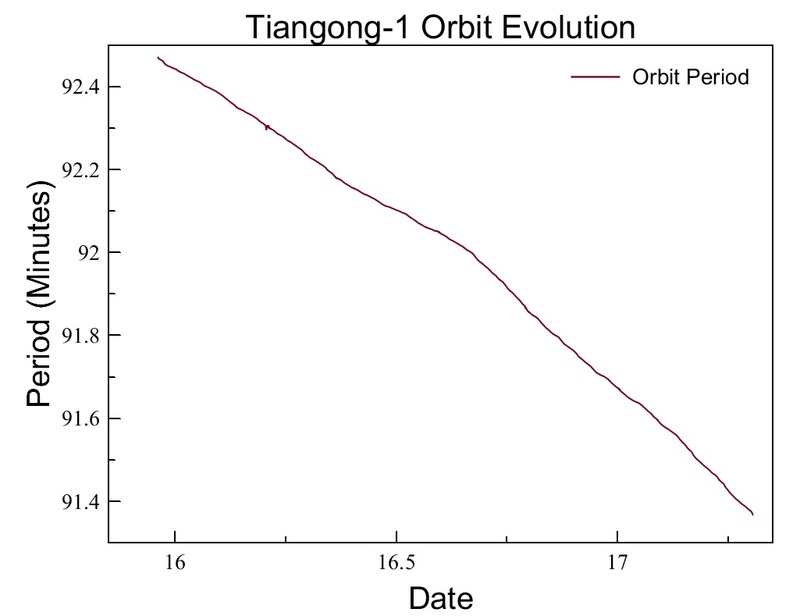 It has to be noted that Tiangong-1 outlived its specified mission life of two years by around two and a half years. The spacecraft’s fate was sealed by a fatal failure of its battery charger, preventing power from the solar arrays to recharge the craft’s batteries and leading to a speedy depletion of available power. Objects drop out of orbit and re-enter Earth’s atmosphere virtually every day; however, the re-entry of a large object with a mass of several metric tons is rather rare, coming about once every year or two. Tiangong-1 is the heaviest object to re-enter the atmosphere since Russia’s PhobosGrunt probe that plunged back to Earth in early 2012 with a mass of 13.5 metric tons. International agreements have been made in recent years to ensure heavy objects are deorbited in a controlled fashion to avoid risk to the public, but there are many old, heavy satellites still to re-enter and mishaps – like failed launches or problems leaving satellites uncontrollable – can leave large spacecraft in short-lived orbits. In recent years, China vowed to adopt international guidelines for the management of space debris and research was carried out by the country in a number of projects. However, past actions by the Chinese – like the 2007 Anti-Satellite Test – catapulted the country’s orbital debris population to nearly match that of Russia and the United States despite China having a shorter history of space activities. Mathematically, Tiangong’s re-entry falls into the high-risk category with a risk of more than 1 in 5,000 of human injury or death. NASA Safety Standard 1740.14 specifies that spacecraft that undergo uncontrolled re-entry should not exceed a risk of 1 in 10,000, corresponding to a debris casualty area of 8 m². To date, there has not been a casualty reported in association with a re-entering man-made object. But there have re-entries occurring over or near populated areas and remnants of spacecraft are known to survive re-entry. There have also been cases of objects from spacecraft being recovered on land or washed ashore if re-entry occurred over the Ocean, and, in recent years, there have been events of spacecraft parts causing damage to property. A rule of thumb is that between 20 to 40% of a spacecraft’s total dry mass can survive re-entry and rain down on Earth as a combination of large surviving parts and small grains that slowly precipitate from the atmosphere. For Tiangong-1, that could mean that 1.5 to 3 metric tons could survive re-entry and make it to the ground. Another factor that has to be taken into account when studying the risk of a re-entering object is the distribution of land and ocean. 75% of the Earth is covered by water so often a probability of 25% of a satellite hitting land can be found in the media. In reality, the matter becomes more complicated when looking at the orbital inclination of the spacecraft which drives the fraction of an orbit actually spent over land given the uneven distribution of land in the latitudinal direction. 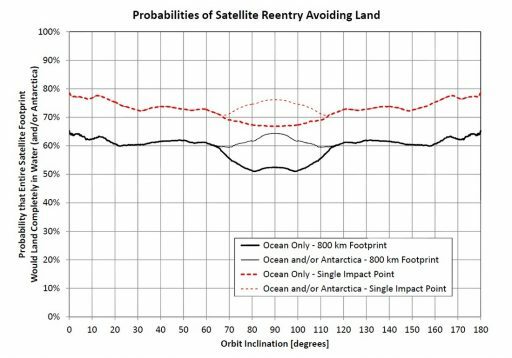 In a study published by M. Matney in ‘Orbital Debris Quarterly’ the probabilities of satellite re-entry avoiding land was calculated for all orbital inclinations from equatorial to polar orbits. 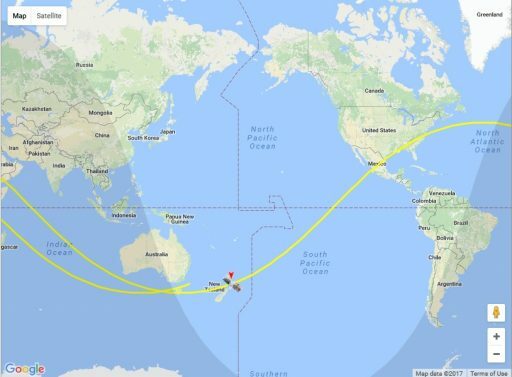 The study evaluated a hypothetical satellite re-entry with a debris footprint of 800 Kilometers in the along-track direction, but no width, or cross track dispersion to simplify the model. The defunct Tiangong-1 space lab orbits Earth at an inclination of 42.8 degrees which means that debris could fall anywhere between 42.8 degrees south and 42.8 degrees north latitude, covering much of the inhabited areas of the planet, but also passing over the vast areas of the ocean. It has been calculated that the probability of debris ending up on land for this type of orbit is approximately 38%. To add further complication, Earth’s land is not distributed evenly across the different longitudes and land coverage of Tiangong precesses over time as the craft’s Longitude of Ascending Node is not fixed. This variation means Tiangong-1 can spend as little as 16% or as much as 42% of its orbital trek over land. The world’s population, for the most part, resides in the mid-latitudes. 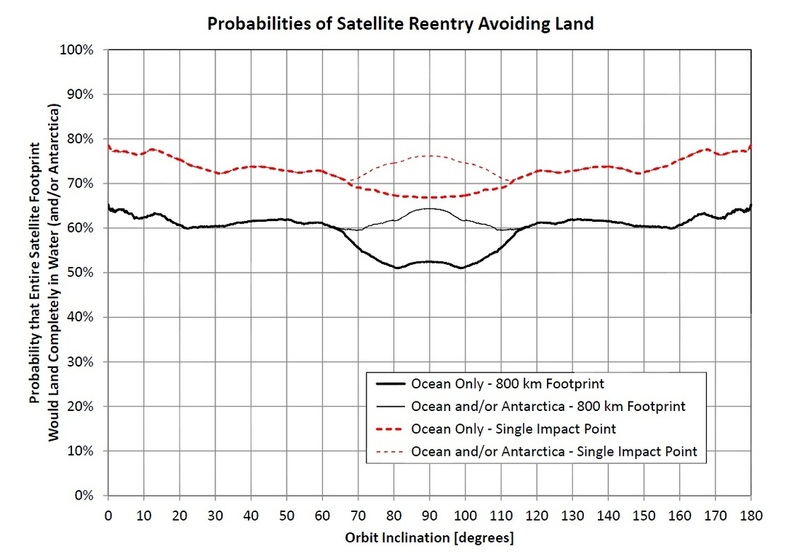 Therefore, orbits inclined between 25 and 65 degrees have the greatest risk of re-entry over population centers as opposed to equatorial orbits that spend much time over the ocean and low population density zones and high-inclination orbits which cover the entire planet including sparsely populated areas such as Antarctica. Through tracking of the spacecraft and orbit propagation, it is possible to estimate the time and possible location of re-entry in advance, but this calculation is strongly dependent on a number of factors that can not be accurately determined. These factors include the conditions of the atmosphere that drive the speed of orbital decay and are influenced by solar activity which can not be predicted over long periods of time. 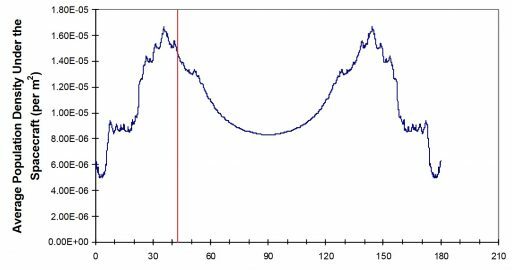 Another factor driving the speed of orbital decay is the orientation of the spacecraft which determines the deceleration caused by drag. Tiangong-1 can fly in a head- or tail-first attitude that would create the least amount of drag, it could fly side-on or it could also be facing the solar panels toward the ram direction which would cause the highest possible drag. 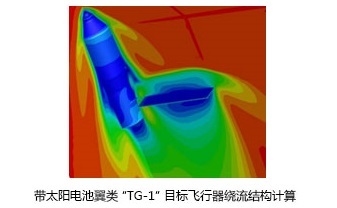 In reality, the spacecraft will likely exhibit a tumble, making modeling of drag more difficult. 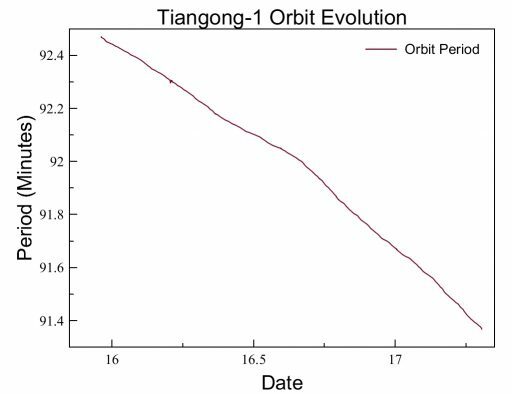 A good illustration of the difficulty of exact decay modeling is the initial prediction of Tiangong’s re-entry for around mid-2017 that will turn out to be off by more than half a year. Any re-entry prediction is *always* associated with a window of uncertainty given the unknowns described above. Many media outlets will give the re-entry time and even locations as absolute values, but the truth is that when re-entry is still several days away, the error bar on any prediction can be 24 hours in either direction or more. Even on the day of re-entry, calculations can only narrow down the approximate time and location to within about one orbit of Earth so that areas of risk can be identified and other areas can be excluded. Tiangong-1 started its slow descent toward Earth’s atmosphere in December 2015 from an altitude of 390 Kilometers, starting out just ten Kilometers shy of the orbit of the International Space Station which regularly has to spend fuel on making up for drag in the upper atmosphere that would bring ISS down in a period of years if nothing would be done. Initially, Tiangong-1 only lost a few dozen meters of altitude per day given the extremely minute drag experienced in the upper atmosphere in the form of collisions of the spacecraft with ions, molecules and atoms which, over time, will slow it down. In September 2016 when Tiangong-1 was officially declared uncontrollable, the craft was losing approximately 110 meters of mean altitude per day. As the spacecraft enters a lower and lower orbit, drag increases and the speed of the orbital decline will increase noticeably. In some cases, spacecraft can enter a tumble in the days leading up to entry when reaching the denser layers of the atmosphere, but in other cases the craft will enter an aerodynamically stable attitude in the tenuous upper layers of the atmosphere or even be slowed from an initial tumble. The speed of orbital decay will depend on a number of factors, not all of which can be known precisely such as the state of Earth’s atmosphere that can only be estimated based on current solar weather using the 10.7 cm radio flux, Kp-Index and space weather forecast models to feed decay simulations. Also, the spacecraft attitude plays a role in the level of drag experienced by the vehicle. 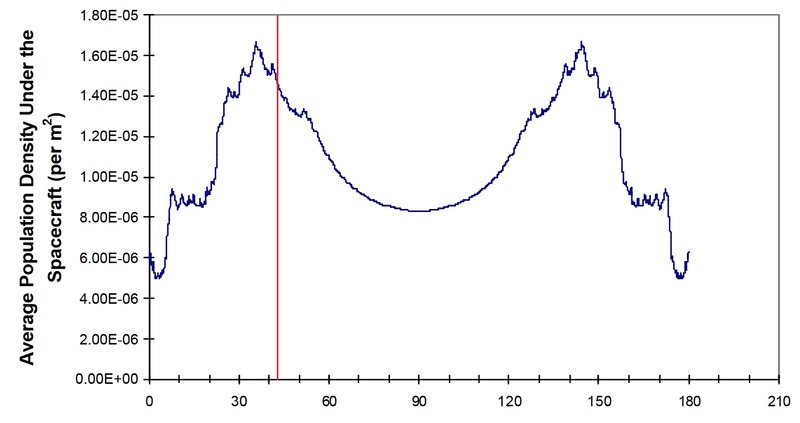 Therefore, decay predictions are always associated with an error bar corresponding to about 20% of the time from the prediction to the predicted decay time. As a high-risk object, Tiangong will be tracked with high intensity over the last days in orbit. The United States operates the world’s largest space surveillance system that uses ground- and space-based sensors; it is also the only tracking system that provides data to the public to allow an independent estimation of the entry time. Russia and China also run large radar and optical tracking systems and a number of other nations such as Australia have optical tracking capabilities. When re-entry comes, its position can be calculated from orbital data gathered in the last orbits ahead of the event, but the most precise data will be provided through space-based assets of the U.S. military that can track the thermal signature of spacecraft re-entries and so pin-point their timing and location with high precision. Over the last days of its descent, Tiangong-1 will lose altitude at a noticeable rate of several Kilometers per day, approaching the dense layers of the atmosphere for a steep and fiery dive. Once hitting the atmosphere, Tiangong will begin a rapid process starting with plasma forming around the spacecraft, before the intense heat and mechanical deceleration causes the spacecraft to break up and burn up to some extent. 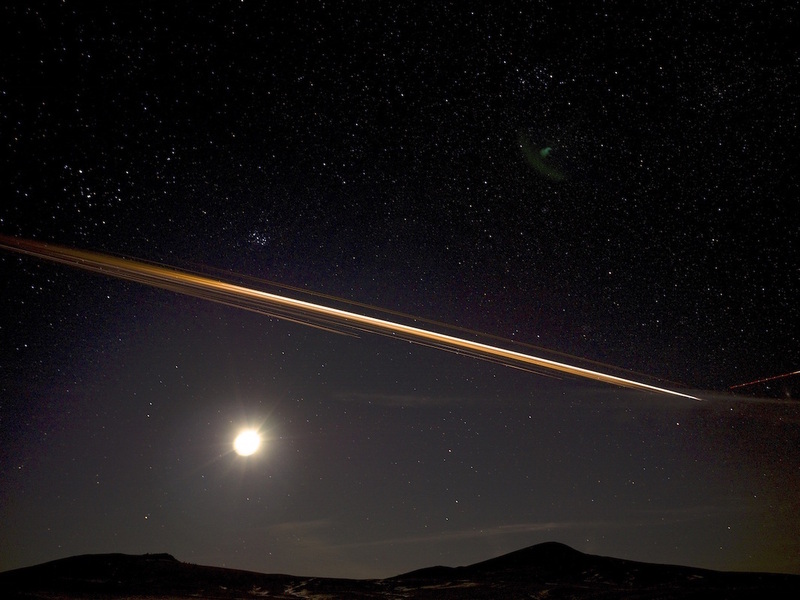 The onset of re-entry occurs at an altitude of 120 to 100 Kilometers (depending on atmospheric conditions). Spacecraft typically become self-luminous at an altitude of 105 Kilometers as plasma forms around the structure, although air is not yet dense enough to slow the craft down at a fast rate. Given the high speed of the object, traveling at 7.7 Kilometers per second, air in front of the it is compressed into a shock wave layer in which some of the molecules are separated into ions, creating the typical visible plasma layer that can be present even minutes before disintegration starts. The Entry Point, as defined by USSTRATCOM and represented in all their data, refers to the spacecraft passing 80 Kilometers in altitude where drag builds up to a destructive force, triggering the onset of the disintegration of the spacecraft structure. The shock wave layer forming just in front of the spacecraft and any separated components leads to considerable heating that causes the incineration of the majority of the spacecraft structure; mechanical deceleration experienced during re-entry can be up to 20 G and further crush the structural components and cause the break-up of the spacecraft. The kinetic energy of Tiangong-1 at the point of re-entry will be on the order of 0.22 Terajoule, equivalent to 52 tons of TNT. This energy would be sufficient to easily vaporize the entire vehicle if all of this energy were converted into heat entirely absorbed by the structure. However, only a fraction of a satellite’s total energy is converted into heat absorbed by its body and depends on a number of factors such as flight path angle and velocity as well as the properties of the object (shape, area and mass). Generally, loose components with a high area to mass ratio such as solar arrays and antenna reflectors are lost first, becoming detached from a satellite at an altitude around 90 Kilometers. 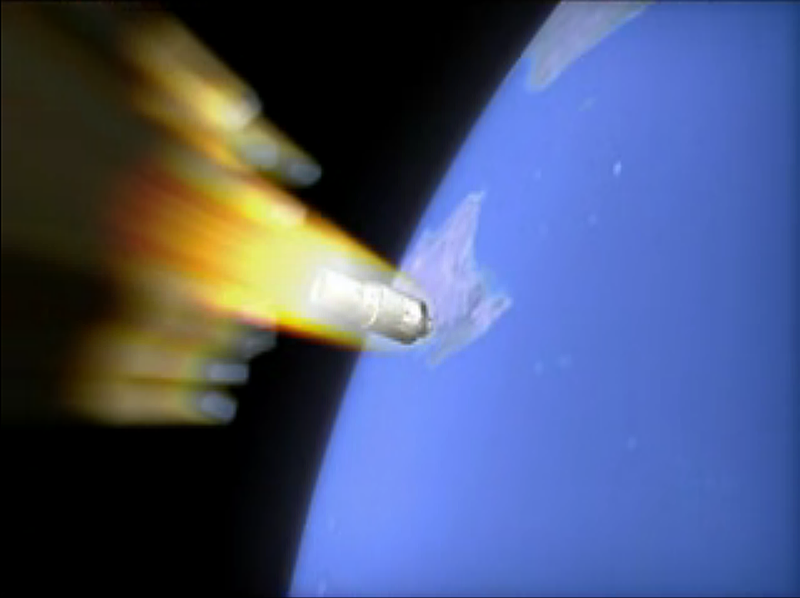 The main spacecraft body usually experiences disintegration at an altitude of 60 to 88 Kilometers due to the heat and dynamic loads experienced during entry. 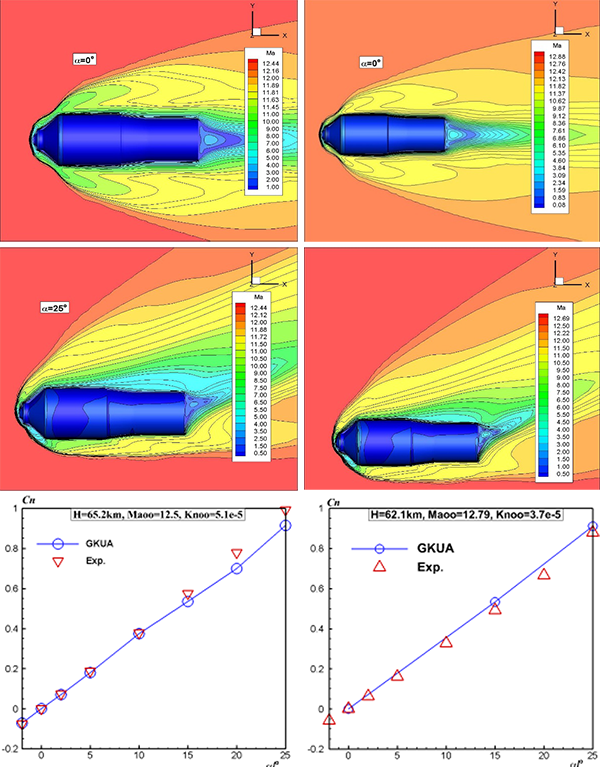 Modeling for Tiangong-1 predicts a critical failure of the pressure vessel around 65 Kilometers in altitude. The survivability of specific components depends on a number of factors including the component’s material, shape, area to mass ratio and shielding provided by other spacecraft parts. A generalization states that aluminum components usually burn up completely unless they have a low area to mass ratio, are shielded by other satellite parts or are released late in the entry process. 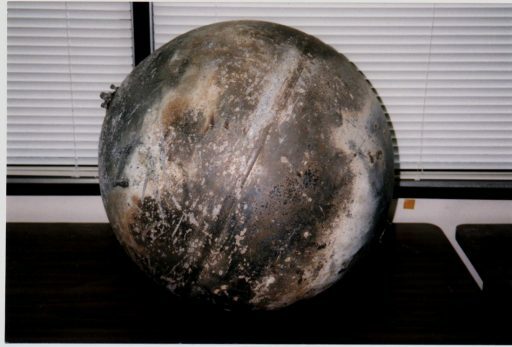 Titanium, stainless steel spheres (tanks) or solid rocket motor casings have a good probability of surviving and hitting the Earth’s surface. A number of models have been developed over the years to assess the survivability of satellite components and NASA established specific rules for risk assessments to determine whether uncontrolled re-entry can be accepted as disposal of a satellite at the end of its life. As Tiangong breaks into pieces, individual components will meet their demise between 45 and 78 Kilometers in altitude while some components will manage to survive the entry environment and make it to the ground. Objects on the Tiangong-1 spacecraft that are prime candidates for surviving re-entry include the two Solar Array Drive Mechanisms, the spherical tanks for pressurant and atmospheric gases, components of the two main engines, windows, and the heavy docking system that is of particularly sturdy construction. One unknown is the amount of unused propellant still onboard the spacecraft. If there still is propellant on Tiangong-1, it could very well be in a frozen state and act as heat sink during entry, permitting parts of the tanks and their structural supports to survive. Components that survive re-entry reach the ground anywhere between 500 and 1,200 Kilometers from the re-entry point. Parts with a low-ballistic coefficient (low-density/high-area; e.g. tanks) will have the shortest downrange travel distance while dense components with high ballistic coefficient (array drive mechanism) can travel 850 km or more. Their journey to the ground is influenced by local weather conditions such as crosswinds. As described above, predicting the exact timing of re-entry is nearly impossible, but as the event gets closer, it will be possible to narrow down the event to a window of a few hours which will help guide observation attempts. Tiangong-1 is an excellent ‘naked-eye object’ easily visible in a sufficiently dark sky. Given its low inclination, not all regions can see the spacecraft – observers up to 50° latitude can have low passes, but the favorable observation zone stretches from 43°N to 43°S. In the days leading up to re-entry, Tiangong-1 can be seen as a little dot racing across the sky. Possible variation in brightness can indicate tumbling of the spacecraft. When re-entering, the disintegrating vehicle will streak across the sky with a visible plasma tail and glowing debris falling back to Earth. There often are misconceptions on how tracking websites like n2yo.com work. A common believe is that these ‘real time tracking sites’ indeed show the position of the satellite based on tracking information gathered in real time. This is not the case. The trackers receive a set of orbital elements – typically once or twice a day – from which the position of the satellite at any given time is calculated. However, with a spacecraft close to re-entry, the fast reduction of orbital period will result in the tracker and the actual position of the satellite to get out of synch between tracking updates. Therefore, it is common that the satellite will appear up to a few minutes before the predicted times according to online observation calculators or trackers. Also, when re-entry comes, online trackers will continue to show the propagated position of the satellite for several hours or even days, although the satellite has long ceased to exist.